The Cloud Native Computing Foundation (CNCF) has voted to accept CRI-O as an incubation level project in a move that lead CRI-O project maintainer Vincent Batts says is a first of its kind. 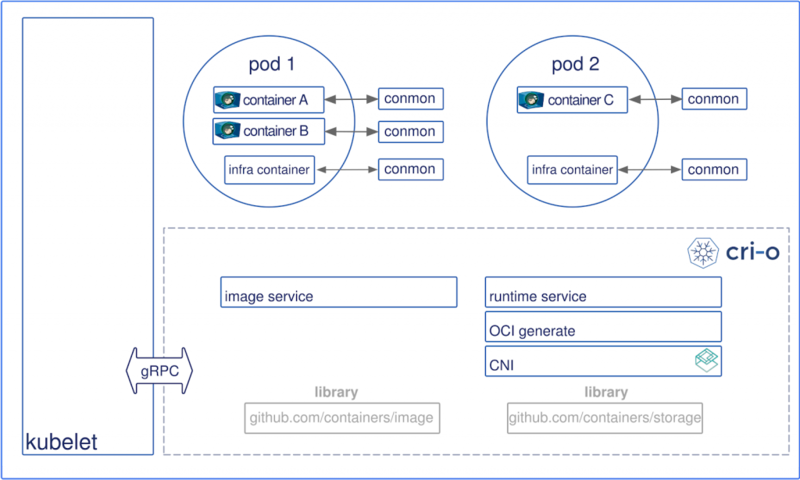 Batts, a Red Hat employee, explained that CRI-O, which is an implementation of the Kubernetes Container Runtime Interface (CRI) designed to enable the use of Open Container Initiative (OCI) compatible runtimes, had previously been hosted in the Kubernetes special interest groups (SIGs). As a part of Kubernetes SIGs, CRI-O was viewed by some as less than what it really was, said Batts. CRI was introduced in 2016 as “a plugin interface that gives kubelet (a cluster node agent used to create pods and start containers) the ability to use different container runtimes, without needing to recompile Kubernetes,” according to a CNCF statement. From there, the CRI-O project was developed to provide a lightweight runtime that was strictly bound to Kubernetes. CRI-O is versioned in step with Kubernetes and, as Batts explained, works to keep Kubernetes “boring,” secure and stable. CRI-O joins a number of other projects at the incubation level including OpenTracing, Fluentd, Linkerd, gRPC, rkt, CNI, Jaeger, Notary, TUF, Vitess, NATS, Linkerd, Helm, Rook, Harbor, and etcd, as well as OPA, which just graduated from sandbox last week. Feature image by mmuller from Pixabay.